July is the month we iNK-ers repost a favorite from the past year. This post (from last January) has me thinking about two of my favorite things: books and chai. Enjoy! I’ve never been one of those writers who tuck their laptop into their bag and then head off to a coffee shop to work every day. I’m too attached to my ergonomically angled keyboard and the utter quiet of my office. But every once in a while, a very rare once in a while, I need a change of scenery to get me into the right frame of mind. I need a place that is not my office, and I need to pick up a pen. When I’m stuck and I need to be playful—when the tone of what I’m writing needs an element of play—sometimes it works best to leave ergonomics and quiet behind. I have a couple places near me that I like to work, and this one is the most playful of all: a teahouse inside a little red caboose. 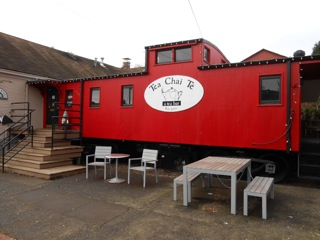 Technically, the entire teahouse is not in the caboose. There’s a whole addition built out from the back side, with lots of tables and chairs, a lovely outdoor courtyard, and about 50 kinds of tea. But to enter the teahouse, you board the little red caboose. Just the idea of it makes me happy. They also make an excellent masala chai with just the right amount of spice and the right amount of sweet. I went to the caboose last week, when I was working on a new idea for the early concept books I do with National Geographic. 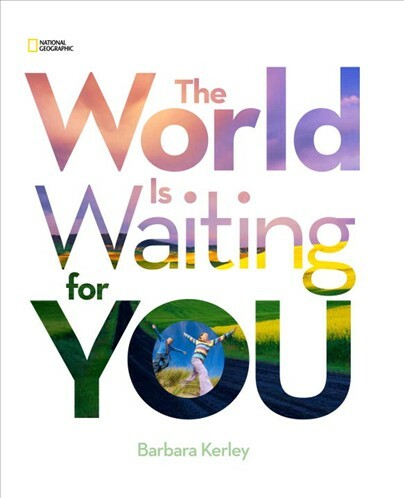 The books introduce simple ideas supported by fabulous photographs (not mine, of course—the fabulous photographs that have made National Geographic famous.) I’ve written about a variety of topics: water, families, peace, a day in the life of school kids, and a new title out this spring encouraging kids to get out and explore. My goal with these titles is to have a clearly defined concept expressed succinctly in an accessible tone. To express a big idea in a kid-friendly way, with language that doesn’t take itself too seriously. In other words, to be playful. That kind of writing is best not done at a quiet computer. That’s when it’s a good idea to head to a caboose.